I can remember hearing Rachael Yamagata’s single “Worn Me Down” almost three years ago. It was on a five-song EP that showed a pouty-lipped Yamagata clinging to a chain-link fence, sporting a Cat Power-inspired hairdo. I liked the song and was looking forward to a full-length, but I never followed up. Now I wish I had. Yamagata’s opening performance tonight at La Zona Rosa is edgy yet mellow, interspersed with playful, witty comments (“Tonight I’m dressed like a sloppy secretary. Everything else was dirty”). 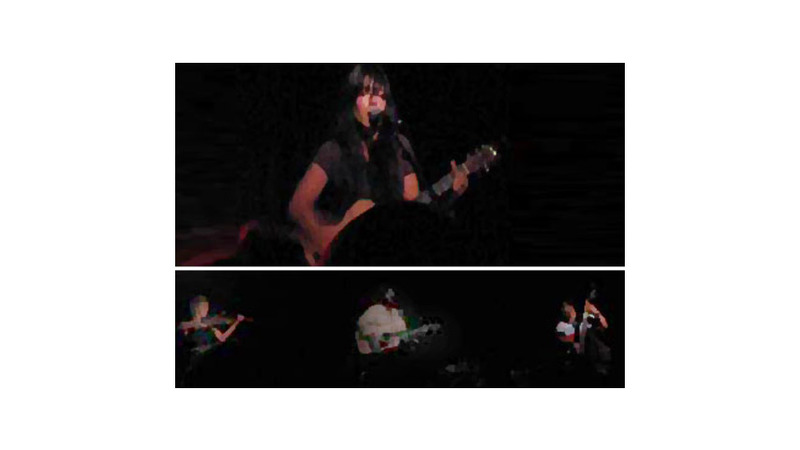 Joined onstage by acoustic guitarist Phil Barry and violinist Becky Doe for an eight-song set that pulled mostly from the full-length Happenstance, Yamagata alternates between guitar and piano. Her voice is sultry and brooding and moves easily from delicate musings to raw complexity. The set is a strong, beautiful collection of songs; a perfect table-setter for headliner Ray LaMontagne. LaMontagne’s story reads almost like fiction: a monotonous dead-end job, an alarm clock blaring a Stephen Stills song, a revelation, a decision, a record deal, a sold-out tour. This July night in Austin finds LaMontagne more than ten years past that epiphanic morning in Maine. Shaggy-haired and scruffy-faced, he walks onstage and starts singing “Burn,” which smothers the fairy-tale version of his story under the harsh honesty and throaty vulnerability of his voice and lyrics (“...don’t leave me alone / with my soul sat down so tight it’s like a stone cold tomb”). That story is too perfect, and LaMontagne will be damned if any audience member walks away without knowing he’s paid his dues. Now joined onstage by enthusiastic upright-bass player Chris Thomas, LaMontagne starts a new song with such an arresting groove and opening line (“All my heroes have gone to heaven”) that the crowd moves, throwing its attention forward like it’s at Sunday-morning church. When the chorus arrives and LaMontagne belts out, “heaven is a honky-tonk,” hands and whoops rise in place of amens. Two songs and the crowd is already his, ready to be baptized in chords and words. LaMontagne momentarily exits the stage while drummer Larry Ciancia, the Tosca String Quartet and Doe make their way onstage. When he returns a few minutes later, he says, “Today is my mom’s birthday and I hadn’t called her yet.” The set then jams into songs exclusively from Trouble, the crowd singing along all the way. For the encore, two new songs are revealed before LaMontagne wraps up the night with Trouble’s closer, “All the Wild Horses.” It’s a bittersweet song—from the sweeping string intro’s first note, you know there’s only three minutes left to relish. The same goes for tonight’s show. LaMontagne finishes the last lyric, says his thanks and walks offstage, leaving us just like his songs do: melancholic and woeful, but with the overwhelming sense that something better is just around the corner (or ten years down a long, heartbroken road).